DOLORES, QUEZON – Pro-life and pro-democracy groups have staged a holy Mass and Prayer for victims of the government’s War on Drugs on Wednesday at the National Shrine of Our Lady of Sorrows here. 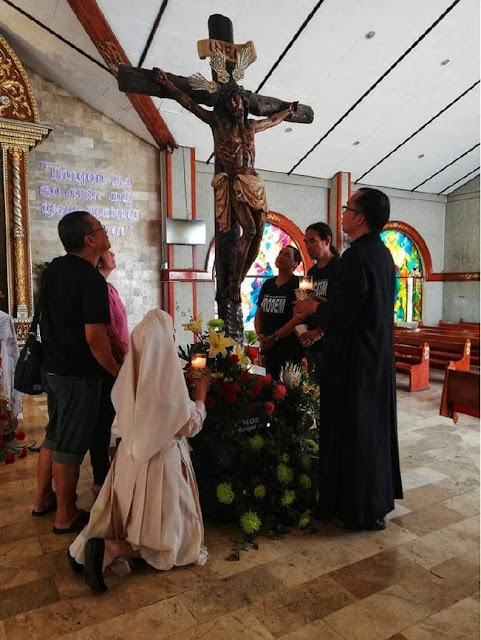 Jay Lim, a political and environment activist and member of Kapatiran at Alyansang Alay sa Kaunlaran ng Bayan (KAAKBAY) - Quezon and ProDem - Quezon, said the holy Mass and Prayer, aims to pray for the souls of victims of Tokhang or the Duterte administration’s War on Drugs especially the innocent victims considered as ‘collateral damage’. Tokhang is a combination of 2 Cebuano words toktok (knock) and hangyo (plead), first used by the police in Davao city for its anti-drug operation and adopted nationwide since the assumption to power by former Davao city mayor and now president Rodrigo Duterte. “Napapanahong ipanalangin natin ang mga kaluluwang humihingi ng katarungan laban sa mapagkunwaring administrasyong Duterte dahil ang tunay na mukha ng kanilang gawain ay hindi lang ang pakunwaring laban sa droga sapagkat nakita natin sa nakalipas na dalawang taon na ito pala ay giyera din laban sa buhay at demokrasya,” said Father Warren Puno, a Catholic priest and spokesman for the groups. Mincing no words, Puno, who led the Mass and Prayer, said they believe that the War on Drugs is a fake war being promoted by the Duterte administration as only the poor get killed in the process while the rich and influential who are the real culprits are free and unscathed and not held responsible by the law. 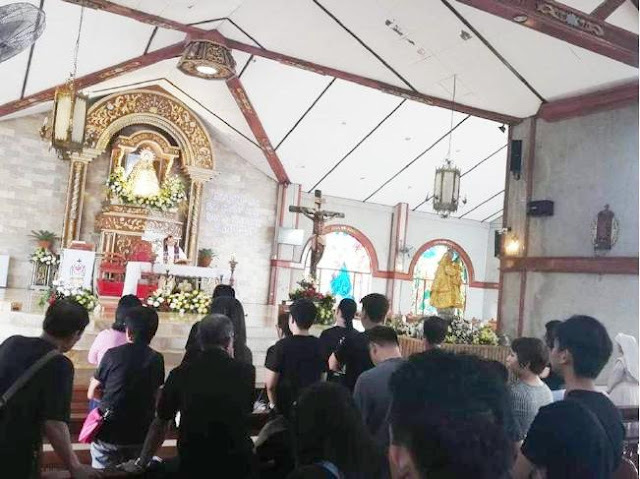 KAAKBAY and Pro-Dem - Quezon asked the Catholic faithful all over the country to pray for truth and justice to all those who were slain by the bloody antidrug operations of the government in the whole country. The groups, quoting a report from the Philippine Drug Enforcement Agency, claim that in August alone, drug suspects who were killed during anti-illegal drug operations by the police have reached 444 or an equivalent of 14 slain daily. “Walang halaga ang ating buhay at kaluluwa kung walang tunay na kalayaan at demokrasya,” said Lim adding that more or less 24,000 persons have already died from the government’s anti-illegal drug operations conducted by the police nationwide.